Laptop supports Brown Series - industrial decorating style. A new finishing for Lounge-book laptop supports is now on stock. Lounge-book Brown and Crystal Brown have the main structure with height regulation, made by Painted metal by powder coating with Ecopolifix zero emission, the color is dark brown with “Corten” rusted effect. 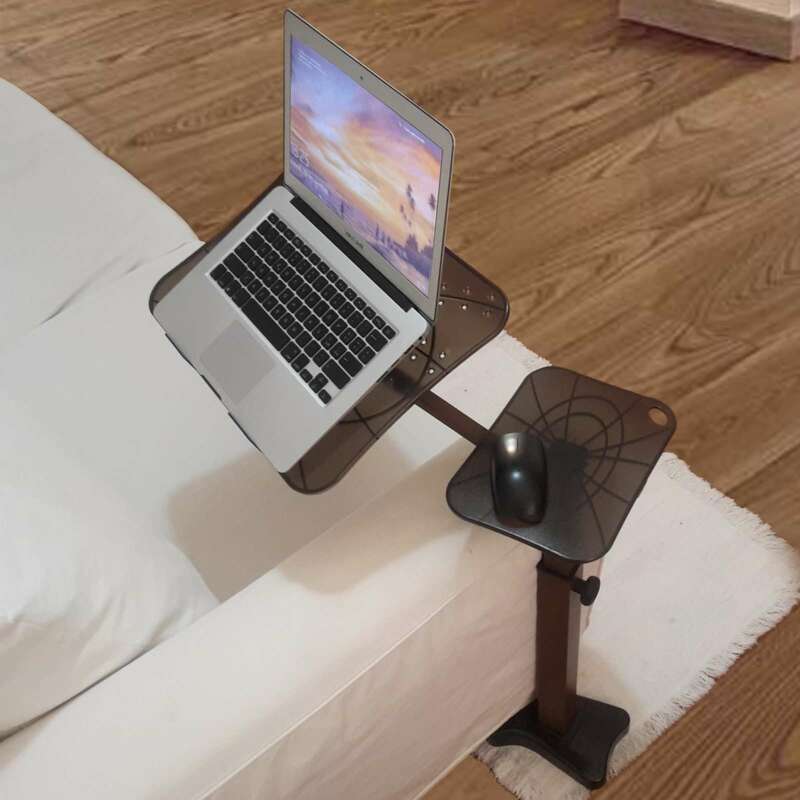 The fully adjustable (rotation and tilt) Laptop base, and the lateral mouse-pad, are made by a stylish and strong polycarbonate transparent (Crystal) or Wengeè effect. Knobs are made by Plastic anthracithe, Crystal model has an height regulation knob stylish, handmade by aluminium expressly designed for lounge-tek. This model meets design style with natural wood or industrial decorating style. Next post: Watch Super Bowl on Laptop by streaming services.